While we were in Utah for the weekend we decided to go to Seven Peaks with my sister, Ashley, and her family. We had a lot of fun! Carson wasn't too sure about the water, but he liked the lazy river and he liked to splash in the really shallow part of the water. As soon as anyone tried to touch him or splash him he got mad and wanted out! 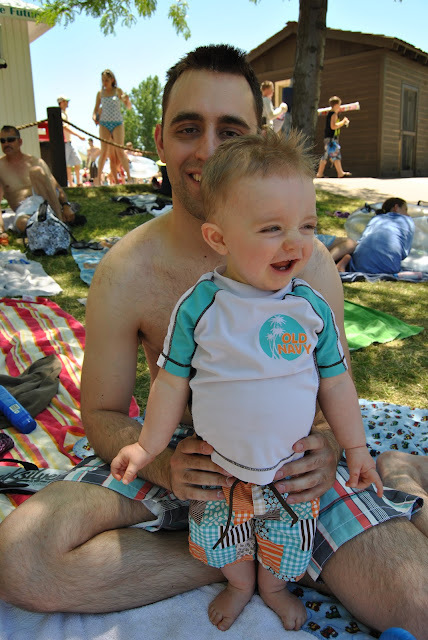 Hopefully he will learn to like pools and swimming because we really like to go!